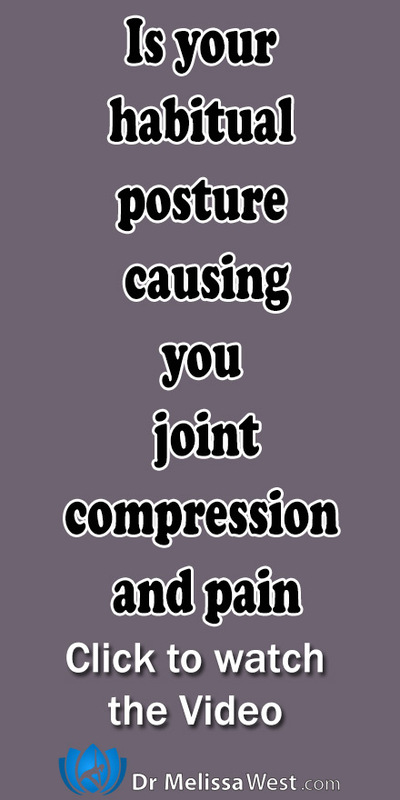 Is Habitual Posture Causing You Joint Compression and Pain? Stay tuned all the way to the end so I can tell you where to go to get 3 quick and easy posture breaks to avoid connective tissue dehydration, joint compression and pain. As human beings the habitual posture that we take more than any other posture is that of sitting in a chair for long periods of time texting and keyboarding. Did you know that these very habitual movements and postures such as sitting in chairs for long periods of time, keyboarding and texting, causes dehydration of your connective tissue and joint compression? Without adequate fluid intake, your connective tissue loses its ability to be adaptable, supportive and strong. This affects every muscle, joint, nerve, organs and cell of your body. This loss of fluid in your tissues may cause you to disc herniation in your lumbar and cervical spine from too much sitting. You might experience neck, shoulder, wrist, hand pain and headaches from time and computers and handheld devices. You may also experience joint problems in your lower body from arthritis in your hips and knees to lower back problems such as sciatica. Keyboarding and texting with your fingers bent and arms flexed may cause shoulder problems from tendon inflammation (bursitis or tendinitis) or tendon tear, instability, arthritis, stiffness, lack of mobility, pain, frozen shoulder, or arthritis. Overstimulation from too much media, social media, overextending ourselves, the stress of driving, constant noise, and excessive light takes its toll on your nervous system. Rehydrating your connective tissue with the soft foam roller and soft squash ball will allow you to rebalance your nervous system and release long held tension and discomforts caused by repetitive postures of everyday living such as sitting, computer time, keyboarding and texting. It also reduces accumulated stress in your nervous system. The self-myofascial massage we do in the membership class squeezes, kneads, compresses and plies loose muscle fibers and their associated fascial tissues that have become adhered to each other. This turbulence and beneficial commotion within the tissue increases local blood circulation, consequently bathing and ultimately rehydrating the area. The classes that rehydrate your tissues with the connective tissue props including the soft foam roller, a soft squash ball and a slo mo ball are available exclusively in our membership community and are part of our value added content there. Today I will show you a little posture break that will open up your chest, mobilize your shoulder and wrist joints and open up your hip and knee joints. While this posture break will help to bring movement back to your joints, the rehydration of your joints is exclusive to the content in our membership community. At the beginning of the video I told you I would share with you 3 quick and easy posture breaks so that you could prevent joint compression and pain from connective tissue dehydration, click below to get my 3 quick and easy posture breaks PDF.